Transferring files between PC and iOS devices has always been the devil’s errand. It’s especially irksome when it comes to big files like the new season of your favorite TV show, photo albums and so on. Imagine you can pair your computer and iPhone within seconds, right from the locked screen and transfer anything you desire. Sounds like magic, right? We call it technology. Say Hi to Readdle’s Wi-Fi Transfer! 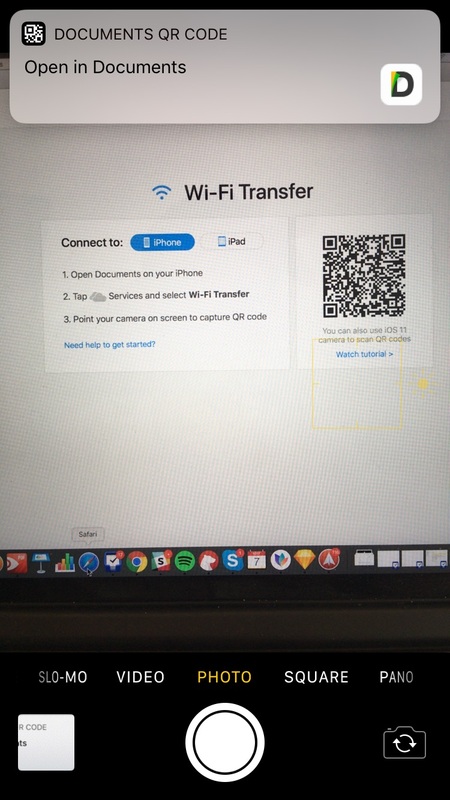 Wi-Fi Transfer is the easiest way to transfer files from a computer to your iPhone or iPad and vice versa. All you need is our free Documents app and a connected Wi-Fi network. Open any Browser on your desktop and enter https://docstransfer.com in the address bar. Hold your iPhone's camera up to the QR code, tap the notification and voilà! Your iPhone and Mac are now connected. Now, you can instantly transfer files between them. Tap on one or more and click Download to get them from the iPhone to your computer. 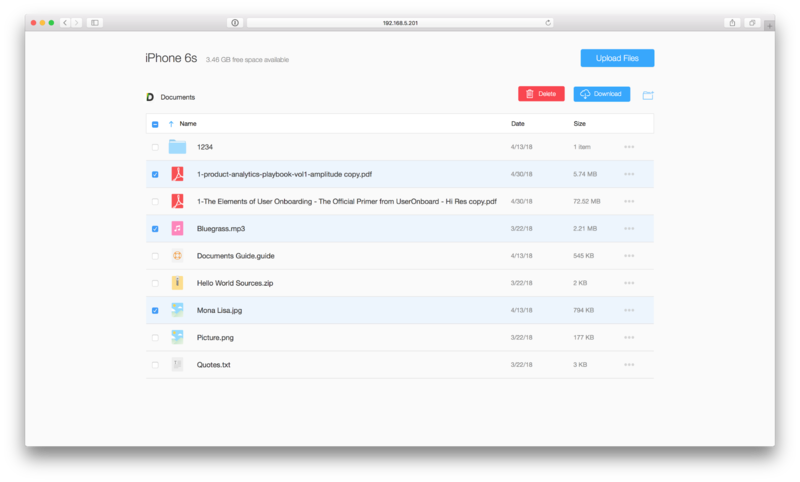 To upload something to your iPhone, drag and drop the file(s) into your browser. Music, videos, documents, photos or archives - anything! As soon as they're uploaded, they instantly appear on your device. 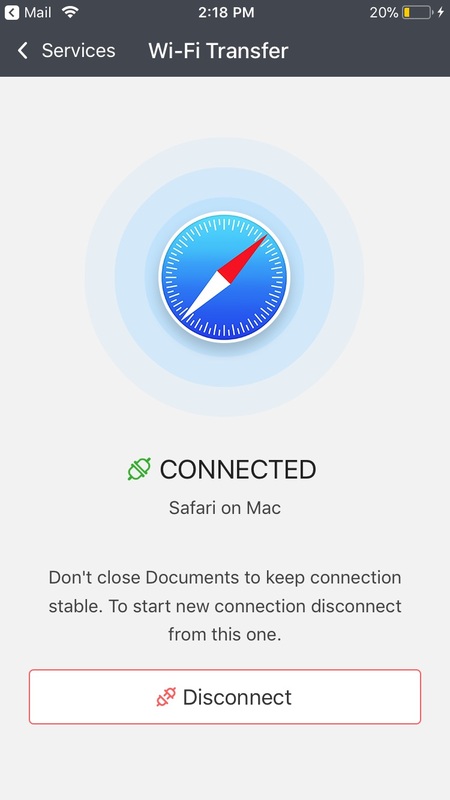 Tap Disconnect on the iPhone, close the web page, or close the Documents app and you're good to go. Although there is a bunch of ways to transfer files from PC to iPhone/iPad, each of them has certain limitations. For example, you are not able to send files larger than 25MB by email. Or you have to pay for cloud services. Or your cable might be lost in your junk drawer. Wi-Fi Transfer is free, wireless and the files transferred are limited solely by your iPhone's memory. 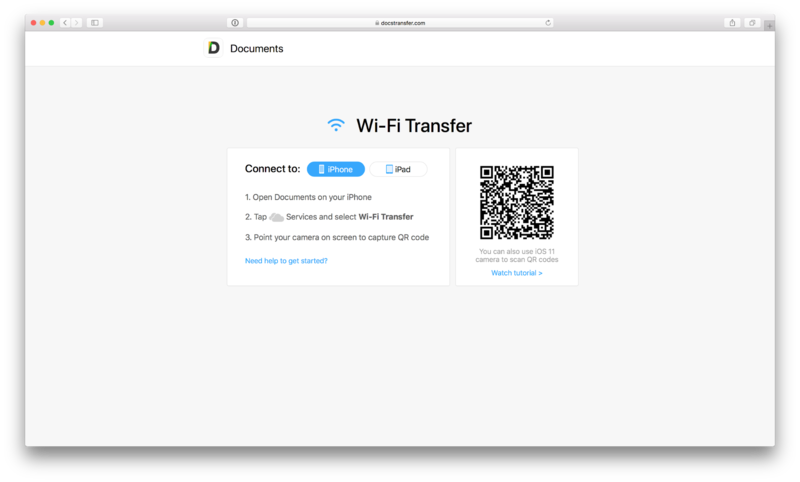 All you need is our free Documents application on your iPhone and a Wi-Fi connection. That's it. AirDrop not working? Wi-Fi Transfer is your fix! 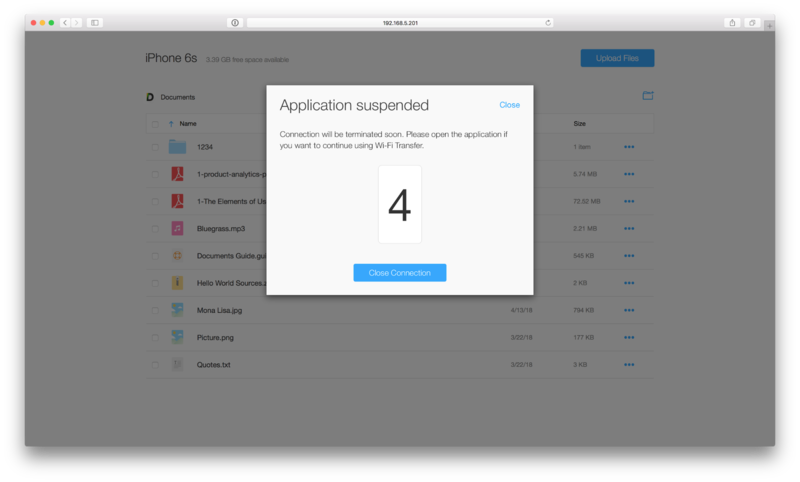 Nonfunctional AirDrop might be another obstacle. Usually, it's not an issue, but AirDrop, like any electronic, can have problems. You can turn it off and on again, reload the devices, update the OS or run a voodoo ritual to make it work. Before you throw it against the wall, it's much easier to simply open your browser. What else should you know about Wi-Fi Transfer? Wi-Fi Transfer works through the connected Wi-Fi network; make sure you use secured ones or link your devices with a cable. How fast can I upload my files from PC to Mac and vise versa? To give you an example, we downloaded a 1G movie in two minutes. The best part is that Wi-Fi Transfer doesn't rely on your Internet speed because all the files are transferred within the local network. While you are moving a file between devices, your browser and the Documents app must be live. Otherwise, you break the connection. If that happens, you have 10 second to resume the connection. If the reconnect doesn't occur, you get to repeat the transfer. Get access, modify and save files across your devices with the unique Readdle transfer technology. You can start working on your file in Documents on iPhone and transfer it, say, to iPad to keep on working over the same file there. Without further ado, download a free Documents app if you don't have it, go to https://docstransfer.com on your desktop and let's transfer something to/from your computer.